Yesterday was the first day of a long list of dates, and oh my god it is great to be back on the road. We took this winter off to finish recording and mixing our next record. I love Cincinnati, and our music scene there- but there is something very liberating about getting in the van, and leaving our little neighborhood, knowing that we are going to be seeing so much of the country and playing so many shows. Our first stop was Pittsburgh. We played at a bar called Howler’s with Past Life, Valerie Kuehn, and Portrait People. Huge thanks to Jackson and David for setting up the show! 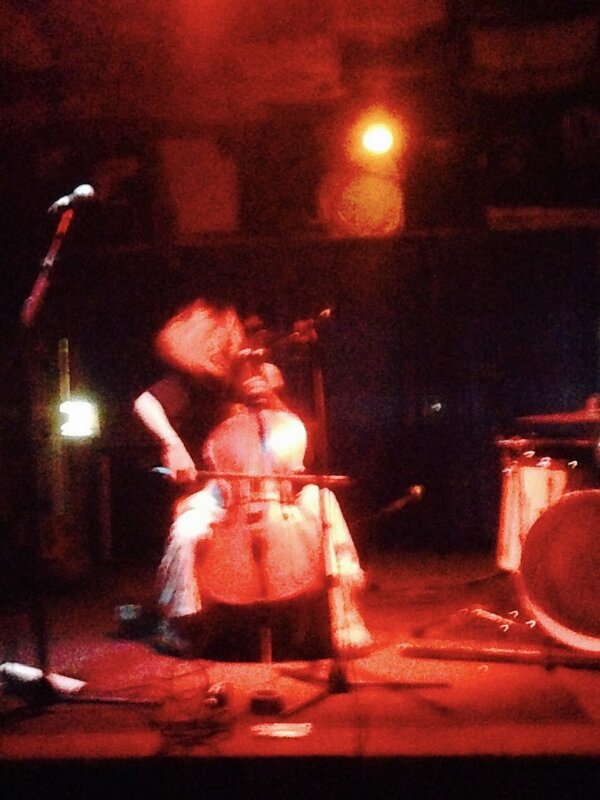 People have been telling me about Valerie Kuehn for a long time- probably because she also plays the cello. I think this is kind of funny, because we play pretty different styles of music—and you don’t hear me going up to a blues guitar player saying, “HEY! Have you heard of this amazing metal guitar player? THEY ALSO PLAY GUITAR! Just like you!”. That being said, I do think us cello-non-classical-musicians should stick together, and I really enjoyed her set. This tour Daisy and I are trying to be healthy and cheap as heck. I’ll probably be posting weird recipes on here if I actually keep up with this blog this time around. If you’ve been following it, you’ll know that I can be a pretty sporadic blogger. Anyway, here are some pictures from the show, and from our rainy and foggy drive through Pennsylvania. We are heading to Mt. Joy today to play at Bubbe’s Brewery with our friends in What’s Her Face. You can check out their music by clicking here. Sending love.